Compact IC-756PROII Mini-Manual. Size, 4.5x8 inches. 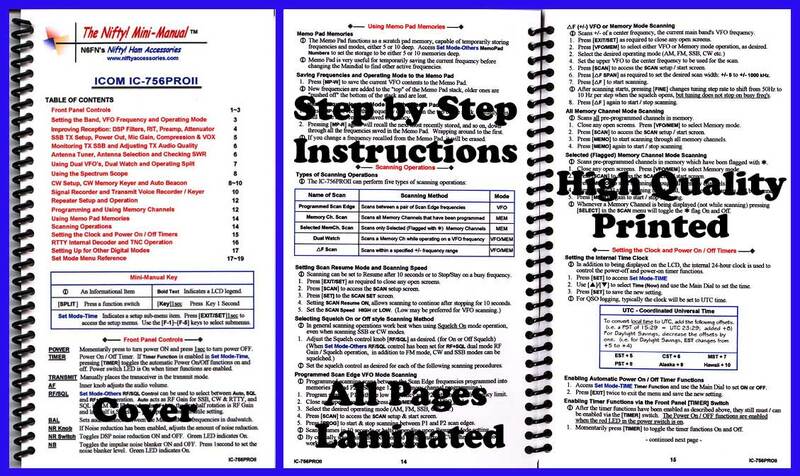 Twenty high-quality laminated pages, loaded with detailed instructions. Ideal for setting-up and operating this best-of-class HF / 6m rig. Short-form procedures for all modes of operation are concisely and clearly written.